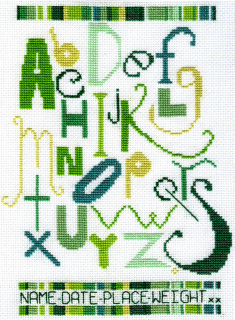 This stunning ‘ABC’, counted cross stitch alphabet sampler merges the old with the new, the classic with the contemporary. It gives you the chance to create your very own family heirloom. This beautiful image will make a fantastic edition to any nursery, a perfect adornment for any wall. The kits come with a Alphabet font so that you can fully personalize with a name and birth date where applicable. This fresh design is created using a stunning, limited palette in 9 shades of Blue or Green. An ample piece of white cotton, 16 count Aida to work on (16 holes per inch). 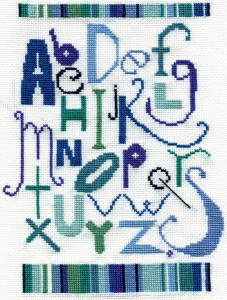 Nine pre-sorted shades of blue or green embroidery cotton. These are high quality, colour fast and fade resistant. 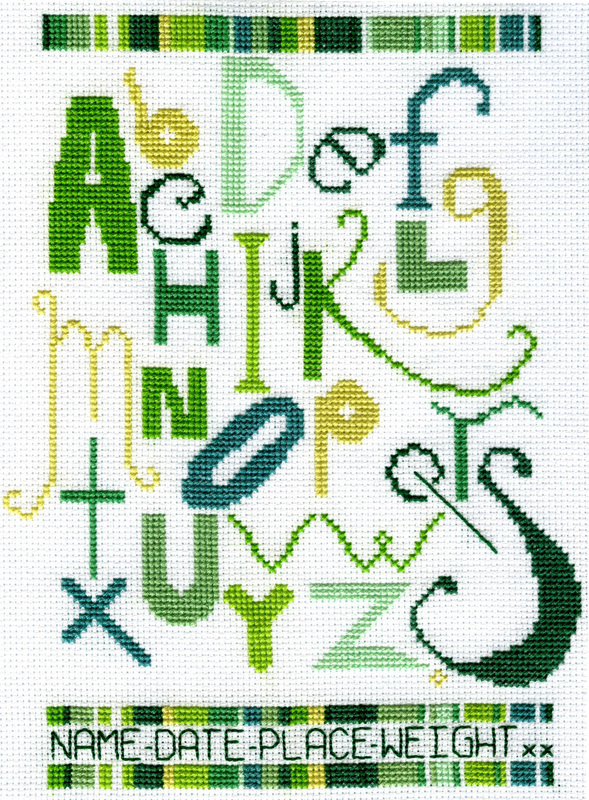 And finally basic cross stitch instruction for those of you that are novices. As the kit comes with functioning embroidery needles the recommended age for this kit is 12+ years. Once completed this image is 15cm x 19cm.